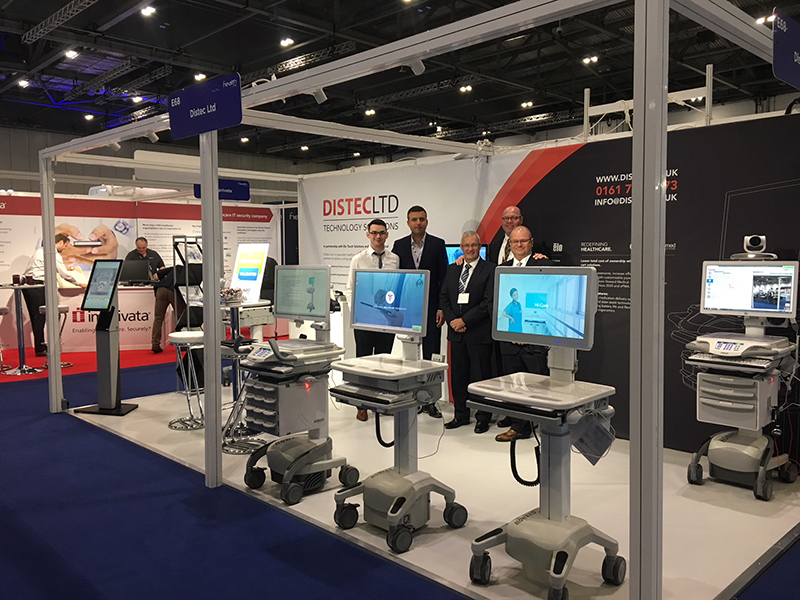 Howard Medical was proud to exhibit alongside our UK partner, Distec Ltd., and Elo Touchscreen Technologies at the UK Health Show which took place September 25-26, 2018 in London. It is the country's leading gathering of NHS, primary care, independent sector, local authorities, and private providers. 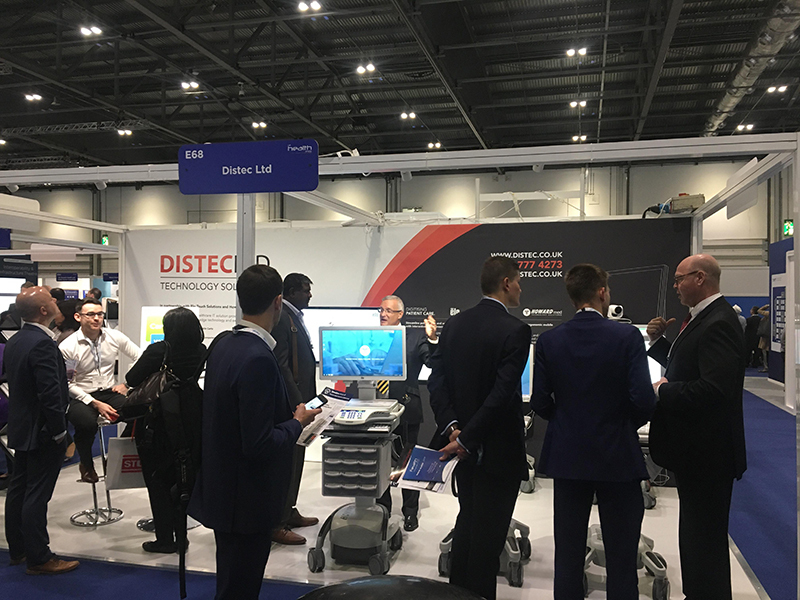 The show gave Howard Medical, Distec and other exhibitors an opportunity to share their latest innovations that are aimed to help healthcare professionals drive efficiencies, reduce costs and ultimately enhance patient care. Howard Medical’s advanced mobile carts are well-established in the US, and Distec is working with the firm to bring them to the UK market for the first time. The carts are fully customisable according to the needs of each care setting, and support electronic patient records (EPR), the Paperless 2020 initiative and ePMA, therefore supporting the wider healthcare sector challenges of digital transformation and greater health and social care integration in the United Kingdom. The carts feature advanced medication delivery systems, on-demand steer assist technology, intelligent ergonomics, outstanding battery life and flexible storage, and are therefore suitable for use in a range of health and social care settings, including hospitals, clinics and care homes. Off to a great start with Noel Sheppard, Andrew Byrne, Kayvan Moinian, Eric Smolin and Wes Craddock. Sharing how to maximize NHS investments, increase efficiency, and enhance patient care. Distec Ltd is a specialist hybrid technology solutions provider, offering a range of industrial hardware and software solutions to sectors including healthcare, retail, manufacturing and transportation. Distec work with industry-leading global vendors to provide customers with cutting-edge hardware and software solutions available.